Cirque Du Soleil has partnered with Performing Life to help us raise money to help disadvantaged children living in deprived areas in Cochabamba, Bolivia. We have 100 tickets to the LUZIA show in LOS ANGELES on Thursday December 14th at the Dodger Stadium. Buy tickets for the show and 90 percent of the profits will go to Performing Life to help expand our Social Circus Outreach Programs to include more youth and families. 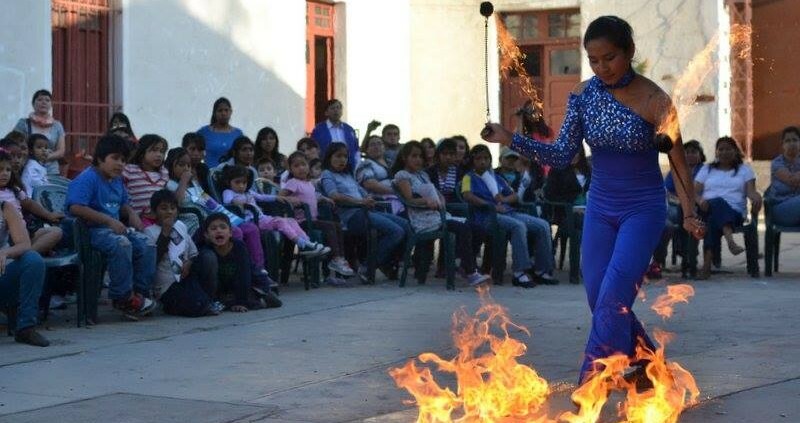 Performing Life teaches performing arts, especially circus skills, to children and teens in low-income areas around Cochabamba, Bolivia. https://performinglifebolivia.org/wp-content/uploads/2017/08/Luzia_1th_dec_2017.jpg 668 960 admin https://performinglifebolivia.org/wp-content/uploads/2015/04/Logo-on-top-website_small1-300x112.png admin2017-08-14 15:44:452017-08-17 16:26:19See Cirque du Soleil in Los Angeles on the 14th December and help Performing Life. https://performinglifebolivia.org/wp-content/uploads/2016/05/Toruk-E-Card-3.jpg 768 1152 admin https://performinglifebolivia.org/wp-content/uploads/2015/04/Logo-on-top-website_small1-300x112.png admin2016-05-09 19:40:182016-05-09 20:23:44Go to the Circus and Help Performing Life Raise Funds! Looking for a way to give back to Performing Life International, and support the work we do? We’ve partnered with Goodshop to help you save while you shop! Goodshop finds you the best deals on the internet — coupons from all your favorite stores like Best Buy promo codes for those new phones, dvds or electronics, Orbitz deals to help you book a flight for a great getaway, and Home Depot savings for those home renovation paint supplies, and more, are all just a click away with Goodshop! Each time you shop, a portion of what you spend is donated to help fund the work we do. Show your support while you save, today! https://performinglifebolivia.org/wp-content/uploads/2015/12/goodshop-logo-600px.jpg 191 600 admin https://performinglifebolivia.org/wp-content/uploads/2015/04/Logo-on-top-website_small1-300x112.png admin2015-12-08 18:41:182015-12-14 17:45:54Support us through Goodshop! Last night, the Performing Life grown-ups were at Parlana, Cochabamba’s language exchange night, selling bracelets and CDs made by the children. We also held a raffle for some rather excellent cheese! Fun was had. Balls were juggled. And a TV crew interviewed Adalid about our work, so stay tuned for that next week. Thanks to Parlana’s guests, we raised BOB515. All the bracelet money will go straight into the bank accounts of the children and mums who made them. Raffle and CD money will go towards our Christmas celebration for the families in our programme. This sum will really help us out with costs – thanks so much, Parlana! The bracelets make a great, portable Christmas present. They’re hand-made by Performing Life’s member families and all profits go straight to them. Learn more about our bracelet programme here. We’re back at Parlana next week for another round, so come along and check it out! It’s at Muela del Diablo, a rock cafe which I’m assured does great food. Two weeks ago, we launched part two of our campaign, ‘Sending Escarlet to College’! Our first campaign, which concluded last month, successfully raised the initial $5000 of Escarlet’s tuition, allowing her to begin her studies at Lewis and Clark State College in Idaho in January 2016. However, in order for Escarlet to complete her first semester, we are still in need of $7000. Please help Escarlet, and all of us at Performing Life/Fundacion EnseñARTE, make this a reality by donating and sharing today! 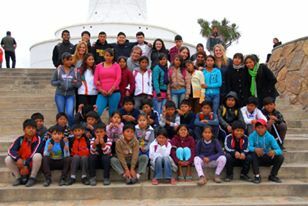 https://performinglifebolivia.org/wp-content/uploads/2015/11/Escarlet13.jpg 486 800 admin https://performinglifebolivia.org/wp-content/uploads/2015/04/Logo-on-top-website_small1-300x112.png admin2015-11-04 17:31:212015-12-14 17:45:54Escarlet's Campaign, Part 2! Preparations for Escarlet‘s 2nd campaign have started to raise more money for her study in the United States, the children in Montenegro harvested their first vegetables from our garden, new Circus Classes have started in Alto Buena Vista, it was the first month for Lizbeth as our new morning instructor in Quillacollo, we have checked and counted thousands and thousands of bracelets to be send to the United States, and we had some interesting meetings with other local NGO’s! Check out the Newsletter of September 2015! 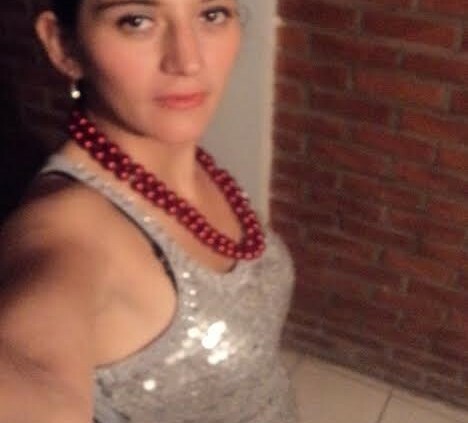 My name is Daniela Vilar Franco, I was born in Sucre but have lived in Cochabamba since I was one year old. Our economic condition was always difficult, but my mother put us in academically and socially good schools. My father never participated in household responsibilities and problems with alcoholism and violence were present. This is one of the reasons why my mom and dad separated. When I left school, I studied various subjects in different areas, through which I found the most appropriate subject that matched my interests; Cinematography. This career led me to documentary works in the streets and communities of Bolivia. After gaining experience in cinematography I have worked in the arts of street-circus in Bolivia for several years. Additionally, I have worked in circus with children from the streets and markets in several cities in Ecuador (Quito, Ibarra, Cuenca and Guayaquil). These experiences have taught me a lot about the reality that the children in Latin America face. When I returned to Bolivia, after several years abroad, I met John and closely saw his work with the children of Cochabamba. I had the opportunity to teach acrobatics in the aerial tissue to one of the members of Performing Life, Adalid Coca, who was an excellent student! A couple of months ago I heard that Performing Life was searching for a new director in the Circus Arts. I immediately felt free to send my curriculum because the work they do is of much interest to me both personally and professional. When I heard that I will be part of Performing Life it was one of the best news I received! I personally commit to do my job with all the enthusiasm, dedication, responsibility, initiative and professionalism it deserves and needs! We have reached the $5000 goal for Escarlet’s crowdfunding campaign, we said goodbye to 10 volunteers, and we welcomed 1 great new volunteer. In the morning class there was an average of 18 children each day and in the afternoon 51 kids are attending. In our Bracelet Program 9 participants have invested money; of which 2 families started a small business, 1 family built a house consisting of two rooms, 4 families supported the education of their children, 1 family invested in acquiring a house on ‘Anticretico’ and 1 family used part of their money to improve the health of the mother. Finally, last but not least; Tony Bellizzi, from the Hope for the Children Foundation, together with 5 young volunteers were our guests for 3.5 days for the annual HFC Mission Trip. Check out the Newsletter of August 2015!